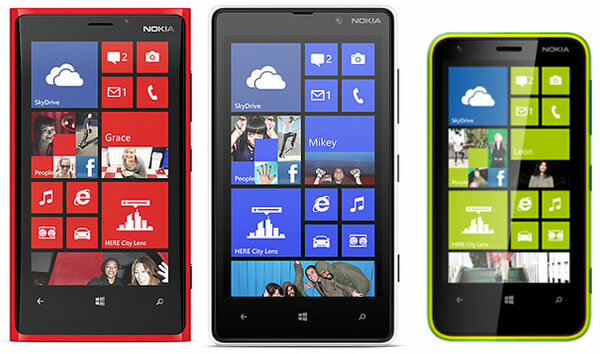 Nokia has announced their Windows Phone 8 lineup Lumia 920, Lumia 820 and Lumia 620 will get Software updates in the next couple of weeks. If you own one of the devices this is indeed good news, the update brings performance improvements and fixes. Nokia posted the details of the update on a forum post, according to the post Lumia 920 and 820 will get updated to the version 1232.5957.1308.00xx. This version will bring improved automatic display brightness adjustment, and a fix for intermittent screen blanking during a call which some users met. The update also brings further performance and stability improvements. Lumia 620 update contains lot of improvements and worth updating to the version, the update version that is being pushed to 620 is 1030.6407.1308.00xx. This update will bring improved touch screen functions, including correction in multi-touch actions. Better voice quality when using Bluetooth headsets that support echo/ noise suppression. Enhanced camera performance with corrected exposure when flash is used in bright light conditions and various other improvements to system stability, performance, and usability. The update will be rolled out gradually over the coming weeks, so look for the notification on your phone screen if you have received the update.